Sheila Donnelly, Charlene Lobo, Jonathan Webb, Daniel Ramp and David Suggett have been promoted to Associate Professors within the UTS Faculty of Science. 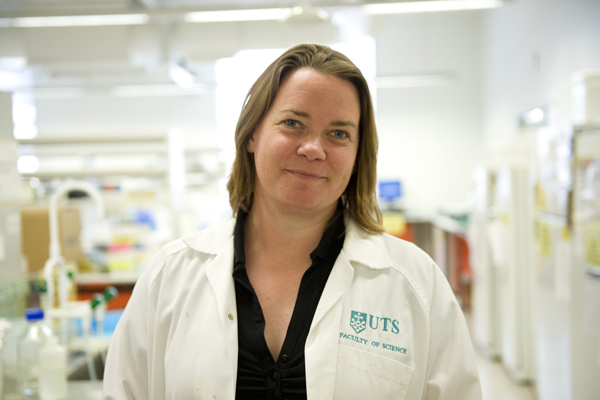 “I am delighted and looking forward to working with other school and faculty members to build and enhance the reputation of science at UTS in both teaching and research,” said Associate Professor Donnelly, a member of the School of Life Sciences. Her research mainly focuses on the relationship between pathogens and their hosts. “My research in this area has primarily been to understand how parasitic worms manipulate the immune response of their mammalian hosts to infect and reside in tissues for decades,” she said. Associate Professor Donnelly says it was through the work planning review process that she was advised to apply for a promotion. Associate Professor Charlene Lobo, from the School of Mathematical and Physical Sciences, said the promotions were a result of hard work and years of experience. “I have 15 years’ experience now so I was fairly confident,” she said. “I think you have to be, because you can't do an 80 page application [for the promotion] at the drop of a hat. Associate Professor Lobo’s current work is focused on fabrication of nanostructures by the new technique of electron beam induced deposition and etching. “We're able to do unique studies using our environmental scanning electrion microscope, which enables us to both induce nanoscale reactions directly under the electron beam and also image the progress of those reactions over time,” she said.She is currently working on a grant application for an ARC fellowship and is looking forward to spending more time on research if successful. The remaining three recipients of the promotions are from the School of Life Sciences. Associate Professor Jonathan Webb’s research focuses on wildlife management, animal behaviour and physiological and behavioural ecology. He is well known for his research on the endangered northern quoll and the development of cane toad sausages to stop quolls and other native wildlife being poisoned. Conservation biologist, Associate Professor Daniel Ramp is the Director of the UTS Centre for Compassion Conservation. His research interests lie in landscape ecology, behavioural ecology, road ecology and wildlife-human interactions. Associate Professor David Suggett is a Marine Biologist and ARC Future Fellow from the UTS Climate Change Cluster (C3). His research interests are in photophysiology, microalgae and corals. The Faculty of Science congratulations each academic on their recent promotion. © Copyright UTS - CRICOS Provider No: 00099F - 04 September 2017 04:47 PM. The page is authorised by Deputy Vice-Chancellor and Vice-President (Corporate Services).